President Barack Obama has targeted the export of charcoal from war-torn Somalia, the sales of which help finance an al Qaeda-affiliated group, the State Department said Friday. Through an amendment to an already existing executive order, Obama signed on to a resolution passed by the U.N. Security Council earlier this year that banned Somali exports of charcoal. In addition to the charcoal ban, Friday's amendment also imposes targeted sanctions on anyone misappropriating Somali public funds, using children in armed conflicts in Somalia or committing certain acts of violence against Somali civilians, including sexual and gender-based violence. Secretary of State Hillary Clinton attended a conference in London earlier this year to discuss how the international community could work together to stabilize the chaotic situation in the Horn of Africa country. One topic was the British-sponsored resolution in the Security Council that sought to ban Somali charcoal exports, along with expanding the number of U.N. peacekeeping troops in Somalia and widening their mandate beyond the capital, Mogadishu. "Much of the charcoal that flows out of south-central Somalia is either taxed or owned by Al-Shabaab," a senior State Department official told reporters traveling with Clinton in February. "When charcoal flows out to Yemen, to Saudi Arabia, to places in the Gulf, Al-Shabaab is able to tax this charcoal and to gain resources from it." Since its inception in 2004, Somalia's Transitional Federal Government has had a difficult time developing the capacity to build and consolidate the country's security and political gains. Its mandate is due to expire in August. The United States "remains focused on working with its partners in Somalia, the region, and the international community to deter those threatening the peace, security or stability in Somalia," Nuland said. Then how will the poor people grill food for the rich people then? Tks to president Obama. We wish if you could take further step to ban "Fishing and waste toxic" in the "Somali waters" if he does we will build "a Momentom" not only for him for his daughters as well. And every family will kill scared cow for "Obama". Easy to ban – as we don't import anything from Somalia [http://www.census.gov/foreign-trade/statistics/product/enduse/imports/c7700.html] A couple hundred thousand dollars worth per year in all categories – apparently zero dollars worth of charcoal though. iThink this sanction announced by Obama it the right statement produced at the right time, i hope it will discourage the export of the charcoal and also it will save more plants. Then ban weapons imports from Israel while your at it. Does the charcoal produced in somalia consumed by americans. I hope not, but the move will send the markets into the red and 1 or 2 somali banks will be bailed out by the pirates national reserve. its no different what usa does its a bankcrupt and of course that little important fact that usa isent the world largest charcoal producer. he usa and britain isent the producer of anything longer even apple has lost out on samsung in mobile phones what usa does is shoot,outs like the ones that ki,lled 12 people in colorado it was funny that a couple of marines got fu,cked up to they like to play rambo but faced with a ak 47 they sh,it in there pants in afghanistan or in the usa funny the same wea,pon is kill,ing them in usa and outside usa. saeed i would like to see you tell a US marine to his face what you just posted, the marines in the theater had no weapons to defend themselves with . the united state produces many products and is rich in natural resources. any one of our 50 states can produce more food than the entire nation of somalia. the US has a budget and tax problem, it is not broke. the US can easily pay its deficit but it would have to make unpopular cuts to benefits and spending and raise taxes so it doesnt get done. i dont know what cesspool of a country you are from but its obvious you are very jealous of america. we pakistani people have killed many usa soldier 1 bullet from a ak 47 to the head of a marine and the job is done we have blasted many of your so called marines to the high heavens 1 ied and boom gameover why we win all the time its abvious we are just to superior to your british and usa marines a taliban high warrior can easily take out 8 marines shoot after shoot to the flate face of a british marine. Why doesn`t Obama ban the importation of Somali terrorists into Minneapolis ? Really? We "export" charcoal from Somalia? Is there nothing we make here anymore? Besides white trash psychopaths and meth cookers, attention wh0res and chickenhawks, that is? Head up up my @ss on that one – should have been "import". 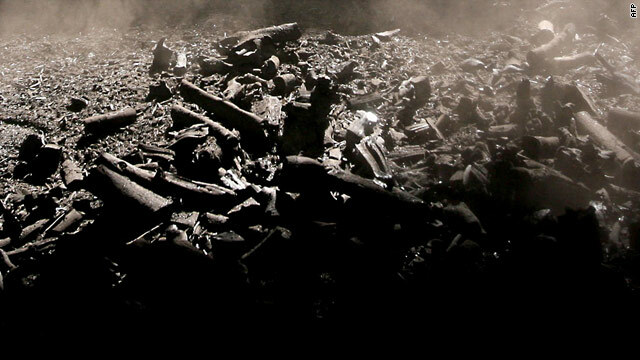 the USA produces more charcoal than somalia, just not enough to meet the demand. since there is no food to grill in somalia they export nearly all of their charcoal. Well, besides Attention WH0res, we have porcelain bus driver types too. They're not so great either. Odd you would forget that brand of weirdo.